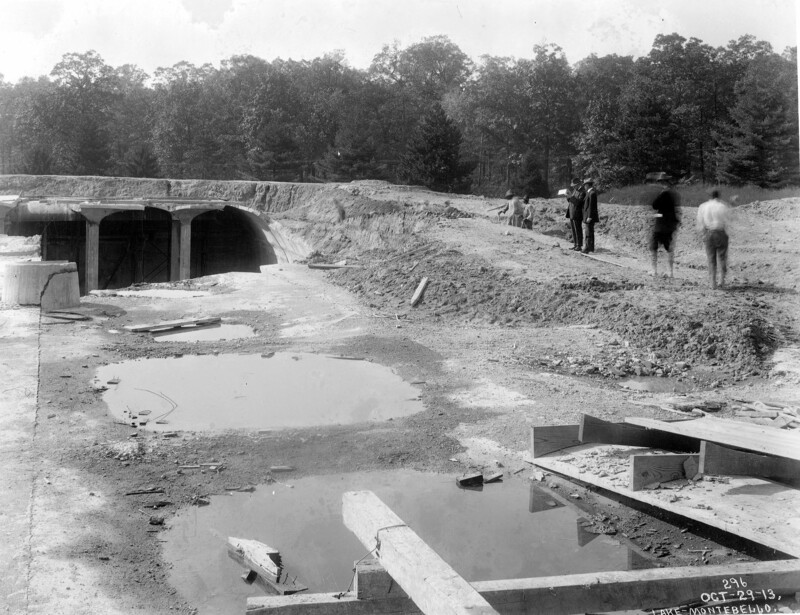 In 1913, while building the underground reservoir for the filtration plant at Montebello, Baltimore Md., the contractor in his zest for an early completion bonus decided to start filling over the reservoir with dirt. Haste makes waste! 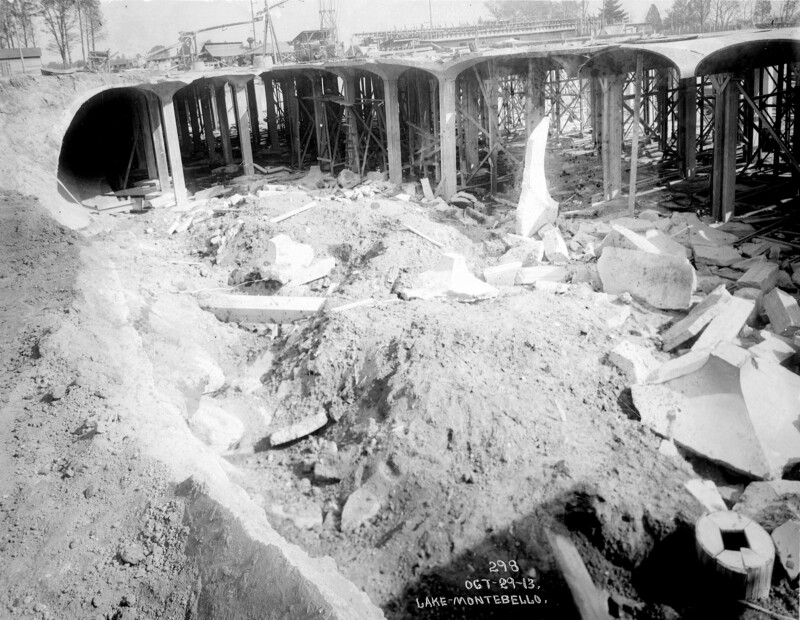 The majority of the structure collapsed. 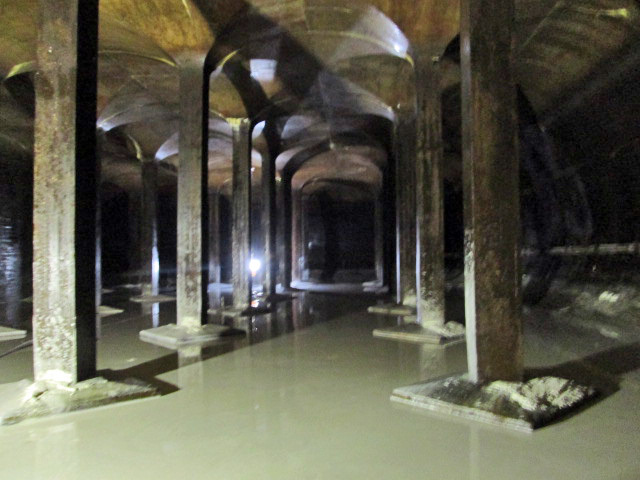 The contractor needed to start over and by late 1914, he was almost done. 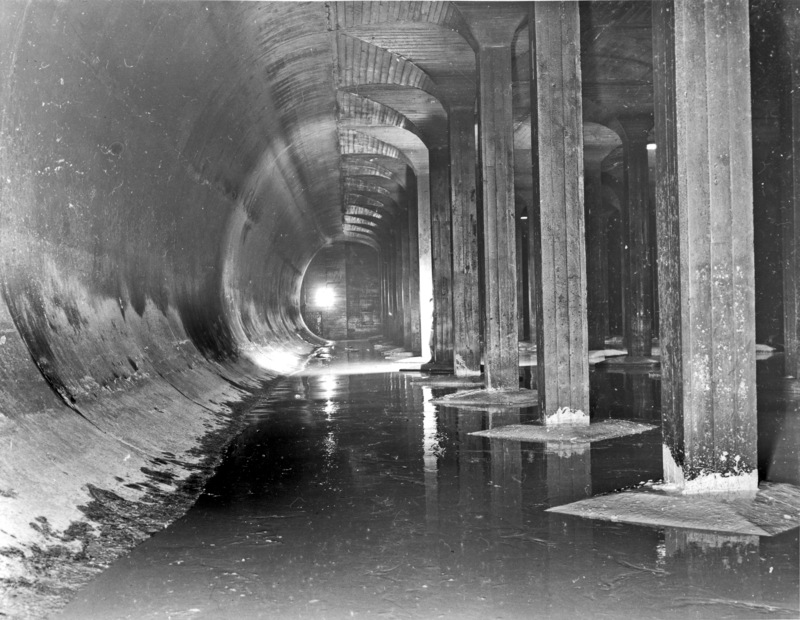 Because of other related projects, the water works would not be completed until 1915. 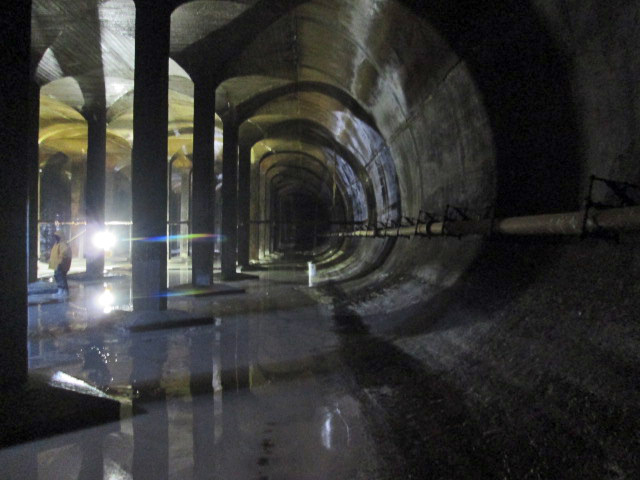 The above photo is what it looked like near completion. 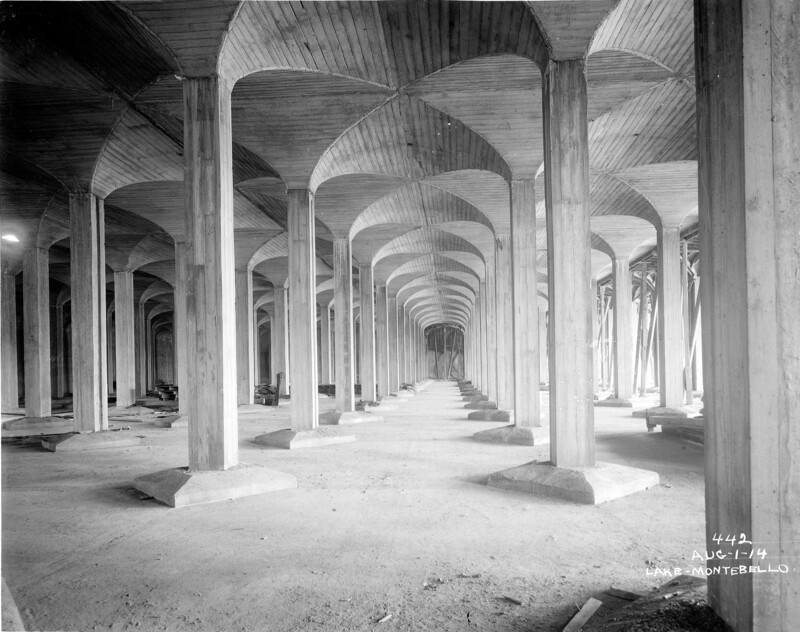 This structure, which holds close to 20 million gallons was built using wood forms and poured in place concrete. When the wood was removed, the slat marks stayed. 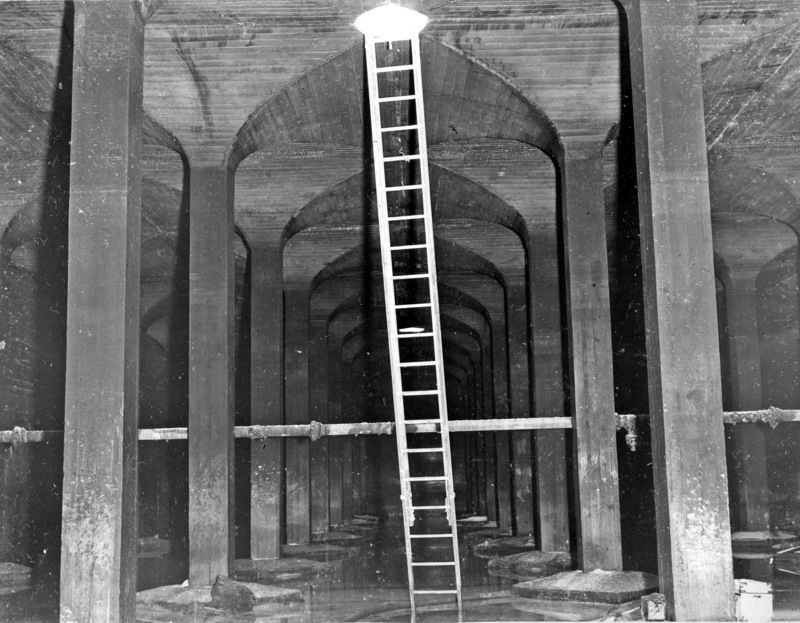 The only way in and out was thru a site well and down the ladder. Men with fire hoses washed it down. Lime visible on side wall and columns. 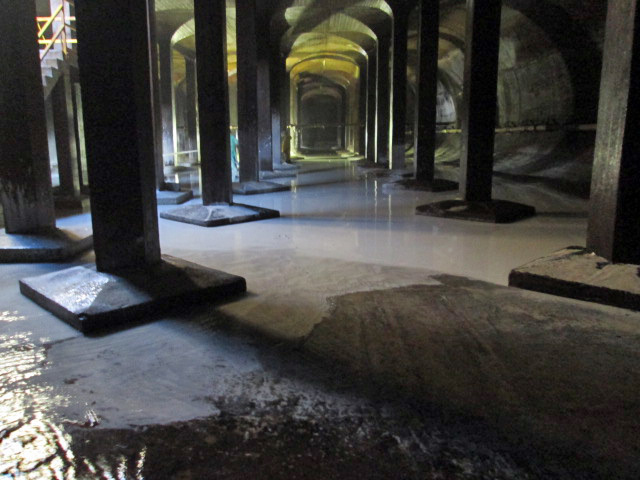 These next pics show the same reservoir 100 years later being cleaned. It is a very time consuming task. Before the Clean Water Act and all those other fed and state regs, we could just send it all to drain and have it cleaned in a couple days. Now it takes weeks and we have to monitor ph and Cl2 levels. Looking into the far left corner of the last photo you will see a set a stairs. They were installed in 1983. As can be seen, 100 years later and it still looks the same.